Royal Air Force (RAF) Avro Lancaster I in flight. Avro and Handley Page submitted designs in response to the British Air Ministry's Specification P.13/36, which called for a heavy bomber for "worldwide use" with a bombload of 12,000 pounds (5,500 kilograms) using the then-promising Rolls-Royce Vulture engine. In practice the Vulture, which was essentially two Peregrine engines joined together in an inverted "X" configuration (one mounted 180 degrees opposite the other) and driving the same crankshaft, was prone to lubrication problems and was unreliable. After trying to fix the problem, Rolls-Royce's Merlin engine, smaller and initially less powerful, was nearing the horsepower specifications of the Vulture; Handley Page switched their design to the Merlin engine and it was accepted as the Halifax four-engined heavy bomber. Avro put their design, the two-engined Manchester, into production, but only 209 were built before Avro convinced the Air Ministry to allow them to built an upgraded version with four Merlin engines and a longer wing instead of retooling to build the Halifax. The resulting aircraft, the Lancaster, was a huge success, and became the premiere RAF heavy bomber, carrying more tonnage to Germany than any other type. The Manchester III, which became the first Lancaster I, first flew on January 9, 1941. The first mass production Lancaster I flew on October 9, 1941, and made its combat debut with 44 Squadron on March 3, 1942. The remaining Manchester contracts were converted to Lancasters, and more ordered; eventually 7,377 Lancasters of all variants were built. The major variants differed little from the Lancaster I; the Lancaster III had American-built Packard Merlins, and the Lancaster X was built in Canada, but otherwise were similar. The Lancaster II had Bristol Hercules engines because the Merlin was in such demand; only 300 of that variant were built. 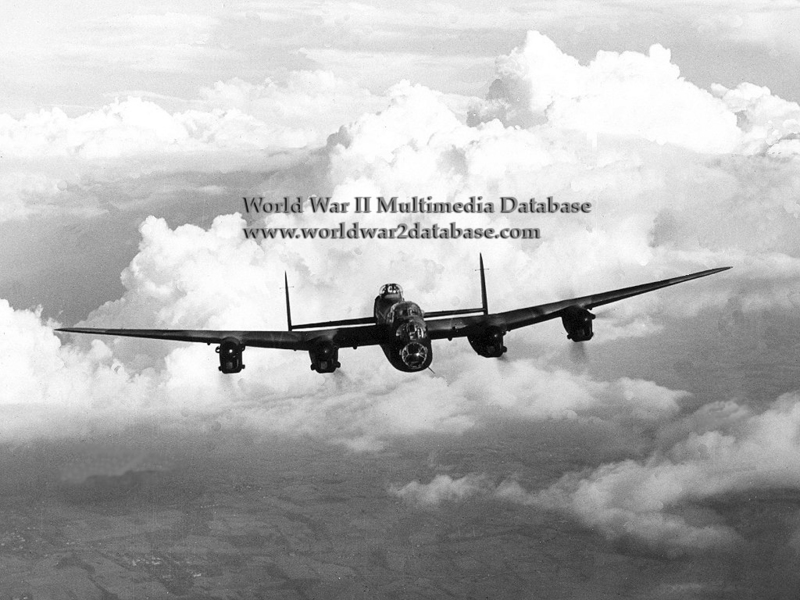 The Lancaster dropped 608,912 tons (552,395 metric tons) of bombs. Bomber Command's wartime total was 955,044 tons (866,401 metric tons), meaning that Lancasters dropped two thirds of the total. The Lancasters flew 156,192 operational sorties, four times as many as the Halifax. 3,836 were lost; 2,508 over Germany. Lancaster aircrew only had an 11% chance of survival if their aircraft was downed; Halifax crewmembers survived 29% of losses.